I was reading a case report about an 18 year old boy with an obsessive-compulsive disorder of eye rubbing. He went to his eye doctor and was diagnosed with a very mild form of keratoconus (thinning of the cornea) and a cataract. After having cataract surgery, his aggressive eye rubbing caused the keratoconus to worsen over the next few months. This caused the cornea becomes misshapen and lead to blurry and distorted vision. Three months later, the boy was diagnosed with retinal detachments in both eyes, again because of repeated eye rubbing. He then had surgery to repair his retinas, but of course, had complications because of his OCD. And you thought you were having a bad day? 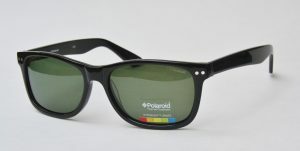 Every one should have a pair of sunglasses. 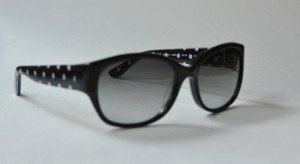 Not only do they make you look cool and reduce glare, but they also protect your eyes and the skin around your eyes from the harmful effects of UV light. Through the month of June, take 35% off a pair of sunglasses, with or without a prescription (sorry, you can not combine this offer with vision benefits). But wait, there’s more! 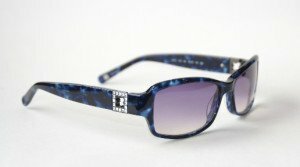 Like us and follow us on Facebook (https://www.facebook.com/NormandyOpticalCompany/) by June 7 to be entered into a drawing for a FREE sunglass frame (maximum benefit is $99/ if frame is more than that, you pay the difference/prescription lenses not included). 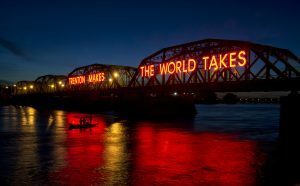 I parked my car on the shoulder of Route 29, waited for it to get dark, and this is the result- the world famous “Trenton Makes” bridge. There’s a good chance this will be hanging in my office soon.